Why do we love paint, you ask? Simple: Because it’s hands-down the cheapest and easiest way to tooootally transform a space. 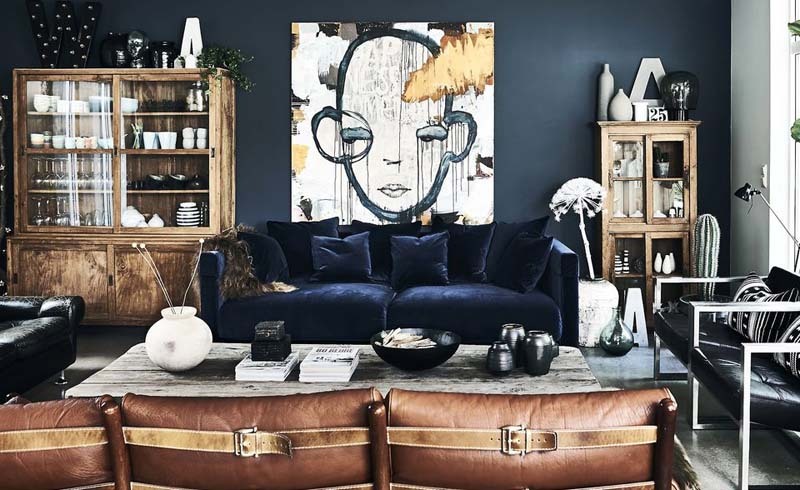 Here, the latest and greatest in paint ideas for 2018. (Happy DIY’ing). ‘Tis the year of color, color, everywhere guys. 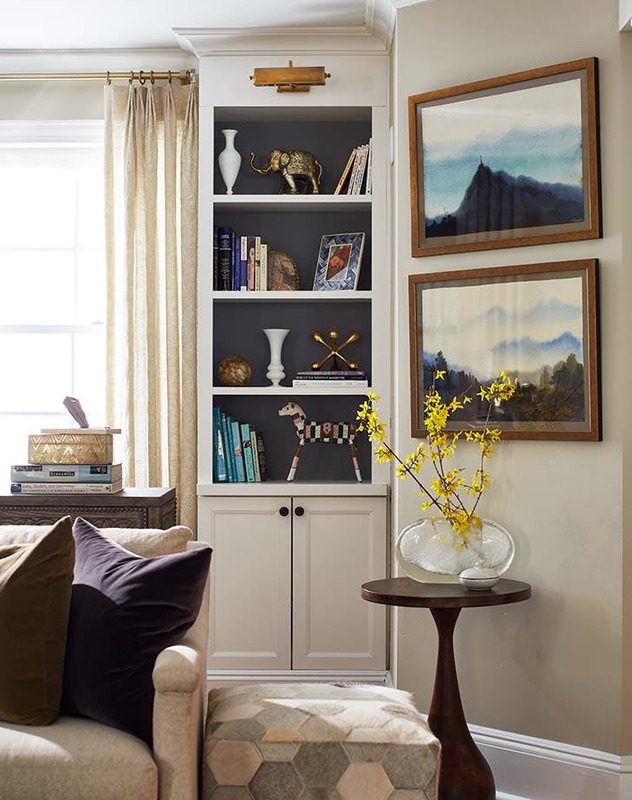 And, increasingly, we’re seeing bold paints on neutral furnishings for a dash of vibrancy. 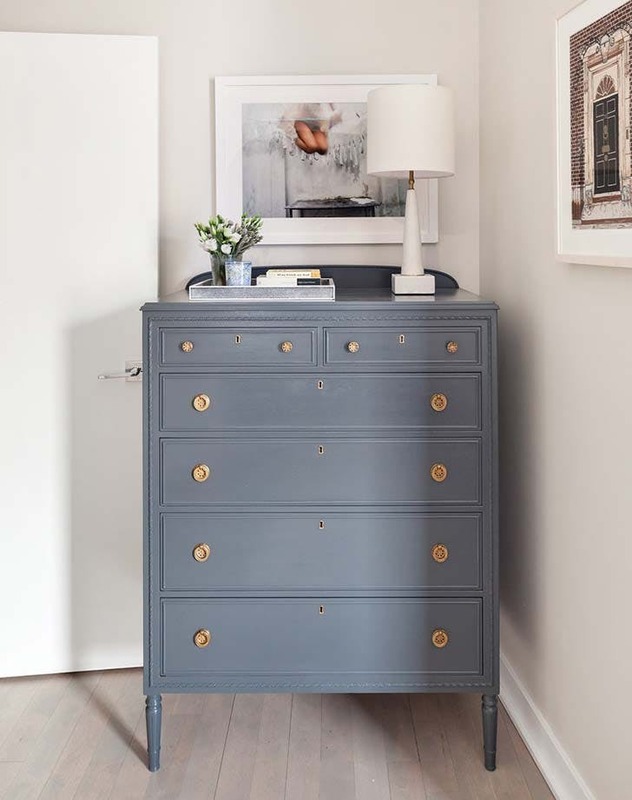 How gorgeous is Coterie member Gabriela Gargano’s French blue revival of this tallboy dresser? 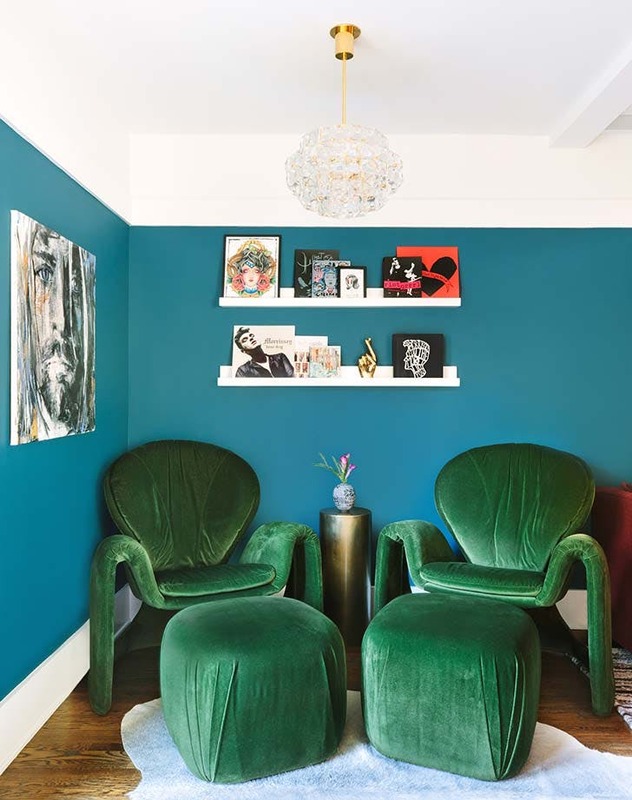 How to make a design statement when you’re afraid of bright color? With an über-glossy finish, of course. 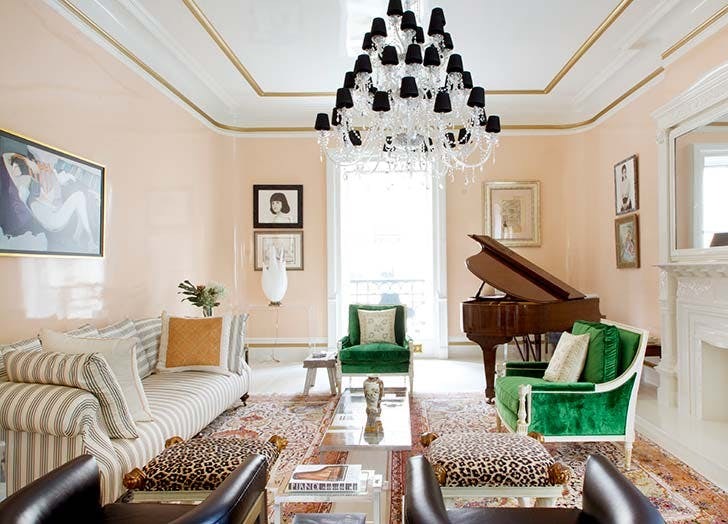 Note how the lacquered paint effect in this Sasha Bikoff sitting room makes the pale peach walls spring to life. No crown molding? No problem—use paint to create the illusion of it. We love the thoroughly modern, almost tent-like effect of the wide “trim” in this stylin’ space by Caitlin Murray of Black Lacquer Designs. ICYMI: The official color mascot of the 90s in back in vogue. The key to keeping it in this millennium? 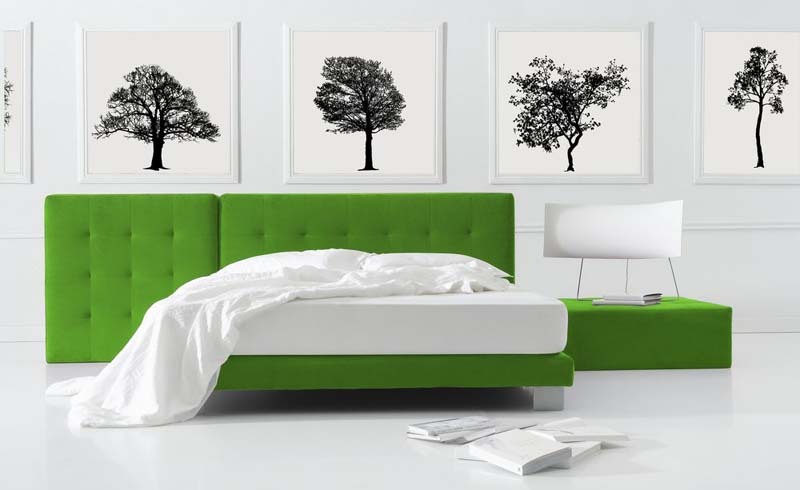 Select beiges with cool, green undertones (as opposed to yellow), says interior designer Jean Liu. Then, go with Bohemian styling to keep things au courant.